You can clip the Fitbit on as discreetly as you want under your clothes or you can show off your embarrassingly low step count, as pictured. When I first heard about the Fitbit, the idea of having a tiny little device attached to me and tracking my every move seemed a little too Big Brother-ish for my taste. “Thank goodness it doesn’t have a built-in GPS” was the first thought that came to mind. Imagine all these people finding out I don’t actually run much and that my workout of choice is actually power-walking my way in and out of all stores in the mall. Over time, though, as I became more and more self-aware of how much I track myself in different ways anyway, I started to see the benefits of the little gadget. When the lovely folk at Fitbit offered to let me try one, I jumped at the opportunity. Zara also jumped at the opportunity to analyse the different components. And by “analyse” I, of course, mean “attempt to destroy”. I was a little worried it was one more thing to add to what already feels like a giant list of things to remember every morning. I’ve got a strict morning routine that consists of a set list of tasks performed in a very meticulous order within the precise time it takes me to get out of bed and out of the house each day. It goes something like: cursing at the alarm, showering, getting dressed, making and drinking coffee, combing hair and cleaning teeth, putting shoes on, leaving the house. Do not pass go, do not collect $200 (is it even $200? I haven’t played Monopoly in a while). I can count on one hand the number of times in a year I even manage to put earrings on, just because I never managed to make that a step in this strict routine of mine. So, poor Fitbit, it didn’t look like this thing would stand a chance. Hardware analysis: the USB charger survived Zara which means it’s pretty strong stuff. But it did. In fact, it has almost become one of those things I once thought I’d never need and now can barely live without, like my cell phone, Pineapple Lumps or Gilmore Girls marathons. These days, I’ll curse at the alarm while hitting the button to get the Fitbit to stop tracking my sleep and I’ll unconsciously put it in my pocket (or clipped somewhere onto my clothes) as soon as I get dressed so that no step goes untracked. I’m not going to get into the technical details of this wee thingy. First because, well, I’ve just called it a “wee thingy” so that should be a sign of how much I know about it. Also, because if you want technical specs, you really shouldn’t come to the blog of someone who has trouble operating a can opener without adult supervision. It’s easy to install (easy as in you pretty much don’t have to do anything other than watch it happen), the battery lasts a decent amount of time (I’ve only had to charge it once in the month I’ve been using it) and it automatically sends your data to your dashboard whenever you’re within a short distance of the USB dongle (which I just leave plugged into my laptop all the time). Serious bloggers take screenshots of stuff like software installing, right? This tiny little thing has made a huge amount of difference in my life in the short time we’ve been getting to know each other. It has taught me a couple of things about myself, too. Turns out I was a little smug about my lifestyle when the reality is that, when I’m not running, I’m actually pretty damn lazy. That 10,000 daily average step count that any average healthy person should take? Not so easy to get to for lazy bones over here, as it turns out. But, on the plus side, I get motivated by stats and numbers and seeing the percentages go up on my Fitbit dashboard was enough to want to do better every day. Having the Fitbit on me meant that I was always looking for a chance to up my stats for the day. Sure, I’ll take that cup back to the kitchen for you. Yep, of course I don’t mind taking the rubbish out again even though it’s totally not my turn and it’s been my turn for like the last twenty turns. I ain’t doing it for you, though, I’m doing it for the stats! I don’t know if it’s 100% accurate and, to be honest, I don’t care. It doesn’t matter if it says I took 8,234 steps when I only took 8,232 and it doesn’t matter if it says I slept 7:42 when I actually slept 7:44. It gives me an idea of how I’m doing and, most of all, it gives me the motivation to do better. If you don’t believe me, you should at least believe the smart folk at Tech Crunch who have just named it one of the best health gadgets for 2013. Out for a run with the Nike+ watch, the iPod Nano (with Nike+ software) and the Fitbit because there’s no such thing as too many tracking devices. What really strikes me as powerful is the focus on the little things. It’s not for runners or super buff gym nuts. It brings the attention to fitness and health to everyone, whether they enjoy working out or not. You don’t need to take part in any physical activity outside of your normal daily routines to see how you’re doing (although you’ll probably find that you need to make some changes to become healthier). It’ll track the long runs but it’ll also track those quick steps from the bedroom to the kitchen or from your desk at work to the staff room and all those other tiny little things that add up to a day in your life. According to some studies (which I purposefully choose to ignore), those small doses of exercise are actually healthier for you than endurance running, for example, so of course you should pay attention to them. It’ll also do stuff like track your food intake and count your calories if you enter information on everything you eat. I’m really not into counting calories so my food log lasted about two days before getting completely forgotten, but it’s an option for those who want a more complete report. In the brief moment of delusion when I believed I’d be using the “food log” capabilities, I downloaded the free Fitbit Android app to make it more convenient to add the food. Like most of the apps on my phone, I can’t say it’s been getting much use. In any case, and even though it’s only been a month, I’m definitely a lot more health conscious since I started wearing the Fitbit. Carrying this little gadget with you around might not get you to join the gym but it might make you think twice before getting in the elevator again. And, in a world where more and more people are dying from diseases related to obesity and a sedentary lifestyle, if that’s not worth US$99, you’re doing life wrong. 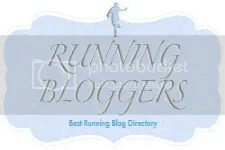 Categories: running | Tags: fitbit, fitness, gadget review, gadgets, health, healthy-living, running, technology, tracking devices | Permalink. I am really enjoying Zara. She’s the mascot of your blog. How do you ever get all these offers to try stuff? I confused your blog with another. There is someone else I follow that gets freebees. Haha! It is good to see I am not the only gadget geek when it comes to training. Nope, you definitely aren’t! As long as there’s some free space around my waist or on my wrist, there’s room for another gadget. whats the tracking sleep cycle for?! Just got mine and am finding its good encouragement to be less sloth-like! I’m gone to say to my little brother, that he should also visit this webpage on regular basis to get updated from newest news update. love to get in touch with you. Will you make sure you drop me a e-mai? in food considering that becoming pregnant. spreading on the hips.was.a.blast too along with the finish on the being pregnant base in the belly stress from the infant dropping down. This league will likely provide a location for these children to grow.